Property investment is always a hot topic in investment circles, and for good reason. It can be your key to a better financial future…if you do it right, that is. If you don’t go into property investment with your eyes wide open, with realistic expectations, and the latest research, you could incur significant losses, especially if the real estate market takes a turn that is not in your favour. What can make things riskier and confusing for aspiring property investors is the presence of misinformation. As with other types of investment, property investment has its fair share of misconceptions. Everyone seemingly has investment property advice and tips to give you—where you should buy, how you should buy, when you should buy. At the end of the day though, it’s not their money, it’s yours. With that in mind, here are a few pieces of property investment advice that are usually taken as gospel but are not always true. Investing in property is often considered “smart” and relatively “safe.” However, it’s important to remember that success is not guaranteed. Even if you have carefully studied the property market, stability is not a given. Property values don’t always rise. After the recent property boom in Australia, for example, the prices of Australian homes have dropped in the last quarter (ending in March 2018) in some capital cities. Moreover, you might even find price fluctuations within a few kilometres between so-called micro-markets. Bottom Line: When doing your research and implementing your property investment plan, talk to those who specialise in investment strategies about short term vs. long term goals, and what sorts of things make the real estate market fluctuate. This way, you’ll get a better idea of what ebbs and flows you might expect and decide whether property investment is the best investment path for you. While this may seem like common sense, it actually isn’t. Sure, the first property most people buy is the house in which they live—typically about 83% of residential property investors. But there are savvy investors who own a number of properties and live in rentals. This is called rentvesting. It’s an option wherein investors buy property in locations they can afford and rent a place where they want to live. If the location of your investment property experiences rapid property market growth, then you’ll have the financial boost you need to buy a home in the location you really want or expand your portfolio, resulting in more ROI in the long run. Bottom Line: Don’t be swayed by the stigma of renting the place you live in. In terms of property investment, it may be smarter for you not to own your home, depending on your circumstances and your investment goals. Seek financial advice to figure out what’s best for you. An average two-bedroom, semi-detached house is still an average two-bedroom, semi-detached house even with a spa in the bathroom. Likewise, making renovations to a property doesn’t necessarily change how desirable the neighbourhood is to prospective buyers or tenants. Bottom Line: Be smart and realistic about how your renovations will impact your property’s value and ask yourself the following questions: Is this renovation a needed upgrade or a vanity piece? Are you over-renovating? What kinds of renovation are others in the area doing? Would the average, reasonable property buyer see the value in the renovation? Off-the-plan properties come with many benefits. These include the ability to secure them for a cheaper price (the property’s asking price will likely go up once it’s built), possible government incentives, and potential tax savings by maximising depreciation. As with any investment, however, there are also some risks. For example, what if the property market falls or interest rates go up after you have paid the deposit but before you have settled? This means that your property will perform worse or your repayments will be higher than expected. And since it’s yet to be built, you’re not making any money from it. Additionally, you won’t know exactly how the property will look like until construction is finished. Even worse, you can’t always predict whether construction will finish on time, affecting your finances. Bottom Line: Don’t assume that a blank page is your best option. When people are new to investing, many will opt for interest-only loans to secure their properties because cash flow will be their priority. This approach seems to make sense until cash flow is not as much of an issue for you or interest rates go up. Once that happens, you may find increasing the equity in your property is more desirable and you can pay down the principal. Equity can come in handy when you are looking to borrow for an investment property or refinance current properties. Bottom Line: Interest-only loans can be a great tool if you have a well-thought-out strategy for investing in property. But remember that they aren’t your only choice—be sure to consult with financial experts to know your options. Whether you are new to property investing or already own a few investment properties, it’s best to have up-to-date knowledge of the property market. Don’t hesitate to consult with an expert to get the needed advice and insights for making the right choices. 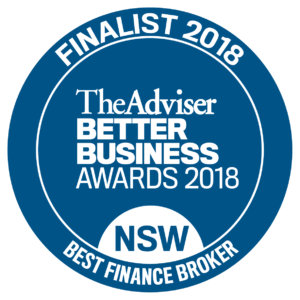 We at Clever Finance Solutions always aim to help clients make the right financial decisions—whether in buying a property or choosing the right loan—and we have the experience and expertise to help you. Contact us today and let’s start working together.